Yep…it’s ANOTHER Lighthearted Leaves card AGAIN! You know…for a set I did not like AT ALL when I first saw the Holiday Mini and that I just got ‘on a whim’, I’m SOOOO enjoying creating with it! Anyway…I saw that the CASology challenge this time was YOU, I had this idea right away for a card. Of course it took me until NOW this week to make it but that’s okay…I did get it done and just LOVE the finished look! Oh…and I should mention…SOOOO simple! Whisper White – 3 x 5 1/2, stamp leaf in Hello Honey, the dots in Basic Black Archival, and So Grateful For in Basic Black Archival. 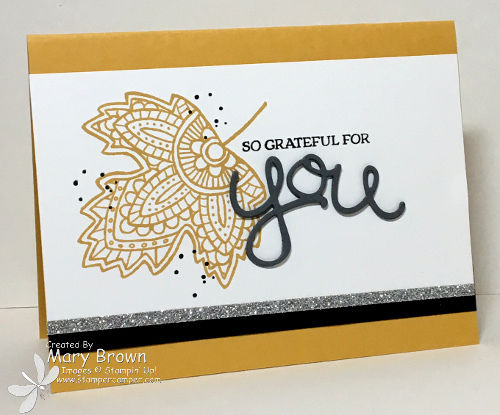 Basic Grey – cut out ‘you’ four times, layer on top of each other, then add to card front to finish off. Yep…can you believe it? THAT easy! 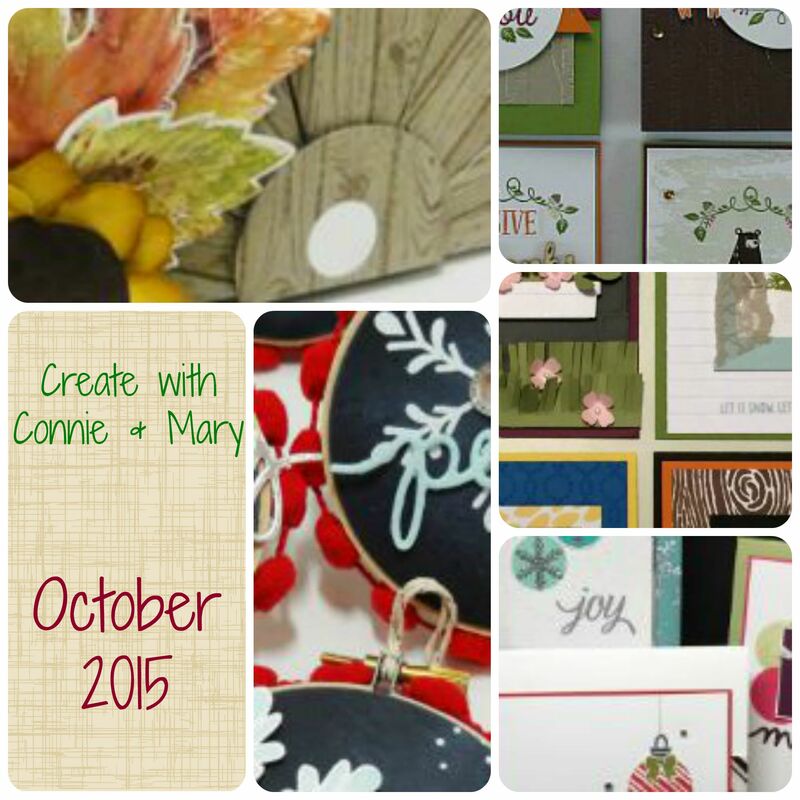 Did you know that the Create with Connie and Mary October Mini Session has opened? This entry was posted in Challenge, Clean and Simple (CAS), Holiday Mini and tagged Holly Jolly Greetings, Lighthearted Leaves. Bookmark the permalink. Mary, I can see why you have grown to love that stamp…it is gorgeous! I love the glittery stripe and the lovely fall colors you chose. What a beautiful “you” die cut, too! Thanks for joining in the fun at CASology! This is gorgeous, Mary! I love that you left the leaf uncolored and the font on the “you” is so cool! Thanks for playing long with CASology this week! I love this card Mary! Love the colours and the layout – everything about it.